Are you looking to get professional instruction to improve your game? It’s as easy as sending your shifts to Prodigy-Hockey.com. With the “Prodigy” Package we examine your skill level and habit base over a 12 game stretch. 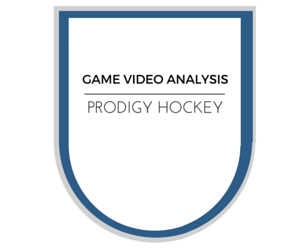 Prodigy Hockey uses advanced game metrics to track player performance and development. These stats, along with our in depth understanding of game situations, allows us to provide constructive feedback about your current game and how we can help you improve moving forward. The twelve game analysis includes a full development plan.